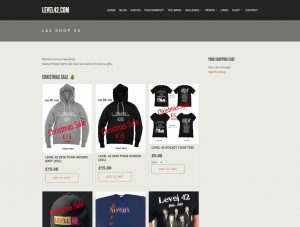 Buy CD, DVD and vinyl on Level42.com, with low prices and special bargains on Level 42 music, including rare live recordings, compilations, box sets, vinyls and much more. We offer 24hr on-line ordering through our website. To order our products, simply click the ADD TO CART button. You can then make a secure online payment using PayPal. 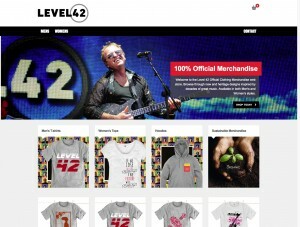 Thanks to Teemill we are now able to offer a number of products with official Level 42 logo’s on them, and will be updating the range from time to time with ‘vintage’ re-issue designs.